Michael Naylor, M.Ed., CCS, LADC, CPCC is an International Enneagram Association Professional Member and Teacher. He has trained extensively as an Enneagram Teacher through the Riso-Hudson certification process, through the Enneagram Institute’s Authorized Teacher Certification, and through training as a Faculty member of the Enneagram Institute. He was blessed with two wonderful teachers, Don Riso and Russ Hudson, along with two other super-teachers and colleagues, Lynda Roberts and Gayle Scott. He has taught broadly through out the United States, and at Mindjuice, the wonderful Enneagram Coaching School in Denmark. In addition, he does trainings with corporations through out the United States and is a partner with Anderson & Rust, and has facilitated workshops with professional teams. He does yearly trainings for WPO and YPO groups, for coaching teams, for spiritual schools (Chime in Portland, Maine), and for 12 Step retreats. Michael is a certified co-active coach and received his training through the Co-Active Coaching Institute. 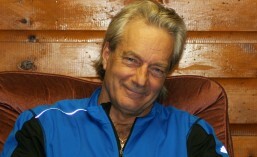 He has an active coaching practice that extends around the globe, utilizing the Enneagram and other presence-based insight techniques to facilitate individual transformation, for healing one’s heart and deepening one’s ability to love at depth, and to inspire the arising and deliverance of one’s gifts into the world. In addition he does recovery coaching using the Enneagram to assist recovering individual’s in moving thru the Enneagram-specific core patterns and the predictable crisis that contribute to addiction transformation and off-the-rails-joy, relapse, and unnecessary unhappiness. That is, he seeks to shine a vivid light on patterns of self-sabotage that inhibit the full maturation of a soul. and here as well, and in his forthcoming book. He worked at Serenity House in Portland, Maine for 12 years, both as a therapist and clinical supervisor. He has worked as an addiction’s clinician and teacher for 30 plus years. In addition he has been deeply involved in men’s transformation work, and co-facilitated The Courageous Men’s Transformation groups for 8 years in Portland, Maine, leading 2 to 4 groups per week. He is and has been involved in numerous spiritual paths, be it Diamond Heart, Essence Emerging, Zen Buddhism, 12 Step Work, or the Gurdjieff work. He recently celebrated his 35th year sober. In addition, he has done the Forum, the Six Day Training, and numerous Forum Seminars (now called Landmark). He completed the The Hoffman Process, an in the trenches, out of the box exploration of healing and breaking through emotional patterns. He’s logged many hours doing transformational breathwork starting in 1990, and initially began his cathartic journey with Primal Therapy in San Francisco in 1971. Before that he was a passionate baseball player, starting at second base for the Oregon State Beavers, and earning a full ride scholarship with them. Secondly, was his love of basketball where his fiery amazing high school team, the Grant High Generals, won the state championship in 1969 (when shorts were still shorts). Some of his fondest memories are the many championship teams he’s played on, wherein he experienced the bliss of a team playing in unified, loving harmony as One Being, One Mind, the result being miracles on the baseball field and on the basketball court. (Oh, the glory days.) In his early 20s his passion for movement turned to creative dance and remains strong and true today. He led a make-you-laugh dance performance group called the Funky Bunch, and spent 4 years doing intense martial arts training (Chinese Goju–a blend of hard and soft techniques). Add to that a passion for mountain biking, weight lifting and yoga. Recently he completed a 365 day commitment to intense daily exercise (doing 365 days of exercise in 365 days! ), whereby he lost 35 pounds. An advocate of gluten free eating, he has discovered the expanded sense of his taste buds exploding in ecstasy when sugar and other less-than-ideal foods are eliminated from the diet. Admittedly, he did eat enough M & Ms in his earlier, less aware days that should easily hold him over for several lifetimes. As a Type 4 with a 5 wing, he would call himself a Recovered Type 4. This means that he spends less and less time in the swamps-of-oblivion, agonizing in the pit of holy despair over his horrendous longing for something-he-cannot-name, less time being a high-jacked-by-my-emotions-crashing-on-the-next-wave-of-feelings-gone-wild-guy, and more often living in the depth of his heart and in the spacious crucible of humor and goodwill that he’s been invited to inhabit (his family cheers for this, as do his guardian angels). He does, however, make short trips to the cathedral of his old patterns but is only allowed 15 minutes there on any given day. His wife, Donna, is a beloved Type Two, and a shining example of the compassionate heart and kindness of the Two. She is a master of unconditional love, support and forgiveness for her children, for the children she teaches, for her temperamental husband, and her friends. Michael’s daughter, Chloe, is also a Type Two, and like her mom, demonstrates kindness and consideration in spades, along with emotional intelligence that makes the angels cheer, and can, when provoked, be hilarious. Christian, a Type Five/Six is known for his high intelligence, his kindness and consideration towards others, and his out of the box thinking. He is deeply devoted to those he loves, and remains a shining example of right-sized-ness. Because there are so many Twos in the household, there are cats (and often dogs) who seem to find there way inside their home, in spite of Michael’s watchful eye.